The Monadnock Region of New Hampshire offers an excellent selection of NH Farmers Markets. A visit to a Monadnock NH Farmers Market is entertaining and healthy. Most Monadnock Region NH Farmers Markets are open-air and seasonal. At a NH farmer’s market you’ll also find NH products, crafts and hand-made items. 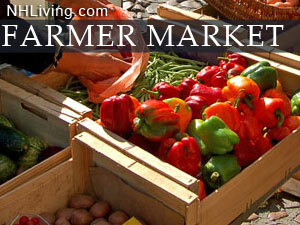 Ask us about NH Farm Markets or share your comments. To feature your business, contact us. May-October Tuesday & Saturday, 9:00 a.m.-2:00 p.m.
Winter Keene Farmers Market: 1st and 3rd Saturdays, November – April 10am – 2pm , Hannah Grimes Center, 25 Roxbury St. , Keene, NH. Mid-May – Mid-October ; Wednesday, 3:00 p.m.- 6:00 p.m.